As opposed to following the traditional format of a daily trip report, I hope to give you a glimpse into a few of the experiences my partner Sam and I had on our six-month trek across America. It had taken over a year and a seemingly endless amount of planning to get here. If we had driven from our home in Toronto, Canada to Campo, California, it would have taken 38 continuous hours to cover the 2548 mile distance. 2548 miles. Just 102 miles shy of the 2650 miles that we planned to hike from Mexico to Canada along the Pacific Crest Trail (PCT). When we finally touched down in San Diego, our first task was to get to a particular parking lot. Once there, admist the chaos of the airport traffic, we were to spot a van with a yellow pom-pom sticking out the window and hop in. This ride would be our ticket to the start of a journey we're still thinking about almost half a decade later. Sure enough, the van drove by, pom-poms sticking out of both windows. Presumably seeing our packs, the driver waved us over. "PCT?" she called out. "Yes." The van doors slid open and we climbed in, searching for a seat amongst a sea of other hikers, packs and trekking poles. Minutes later, the van starts up again and we're speeding down the highway towards the house of two trail angels known as Scout (Barney) and Frodo (Sandy). For years, these two kind souls have been driving hundreds of hikers to Campo, the remote starting point of the Pacific Crest Trail, and we were excited to meet them after communicating with them via email for weeks. We pulled into the driveway late that evening, absolutely buzzing with nervous energy. Dragging our packs into the yard, we spent the first night of our journey sleepless in San Diego. 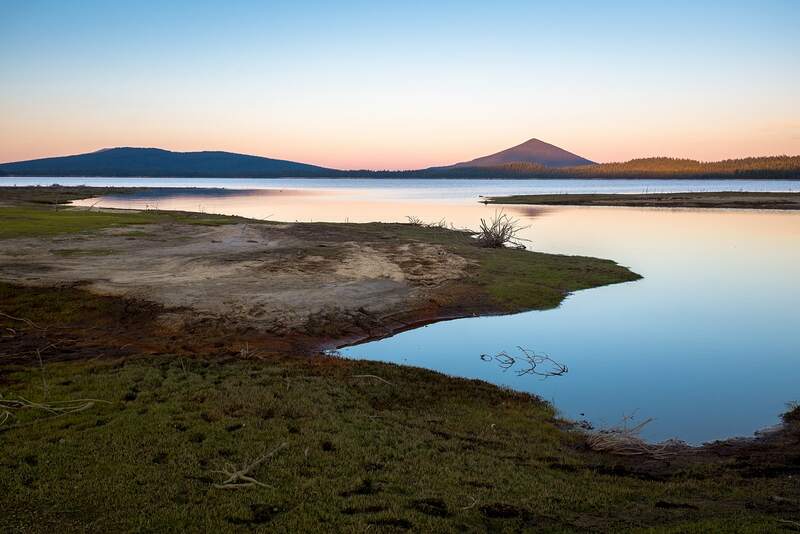 Camped alongside thirty or forty other hopeful hikers, we gazed up at the stars and wondered what lay ahead. Surprisingly, we had chosen to begin hiking on the same day that a local news channel was recording a feature on hikers attempting the PCT. As a small convoy of minivans carrying groggy hikers left the suburbs of San Diego behind, the news van followed closely. 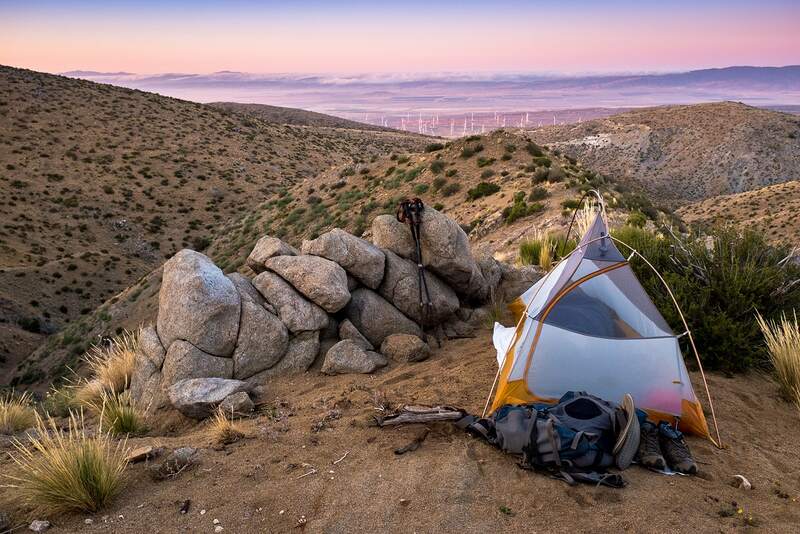 As the van turned onto a rough and unpaved road, I was jolted back to reality, listening closely as Barney shared some of the amazing experiences he had during his own PCT hike. He told us that the journey we had begun today would likely change each and every one of us. I don't think it was until well after we had hiked the last mile, that I fully understood what he was trying to convey. 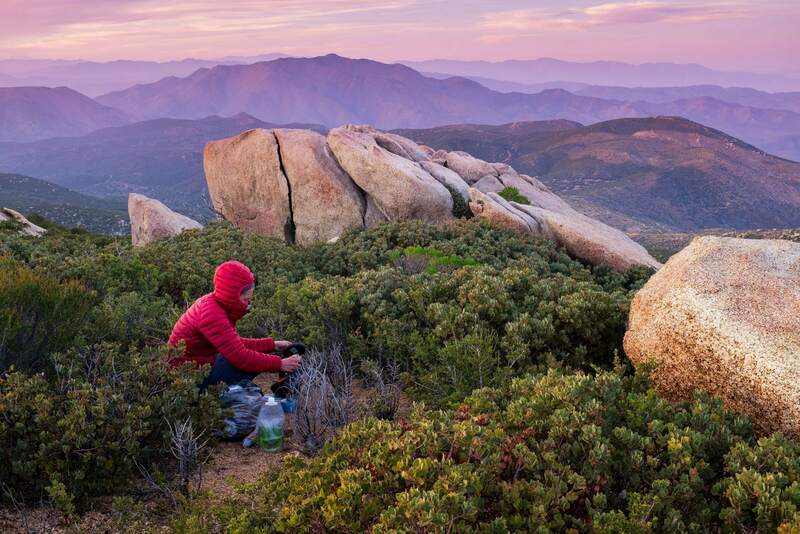 Hiking on the Pacific Crest Trail can be likened to the stages we all go through in life. First, you start off as a 'child,' inexperienced, yet full of excitement and energy. The first few weeks you learn how to walk... how to really walk. Starting off slow with lower mileage days, until you are able to comfortably walk an average of 25 miles per day. During this time, you learn a hiking style that works for you, the best time to get up, how to efficiently organize and pack your gear in the morning, the best time to eat breakfast, lunch and dinner, and also what food items to buy when you resupply so as to maximize your calorie intake, at minimal weight penalties. Finally, as you approach the end of the trail, with your fat reserves long gone, everything begins to slow down. 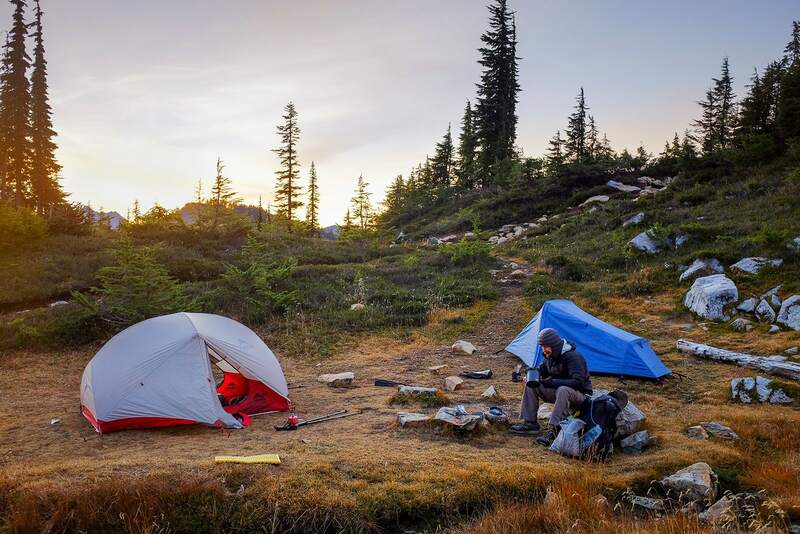 The miles become considerably more challenging as you enter the difficult terrain of the Cascades Mountain range in Washington State, where you will hike the final stretch towards the Canadian border. 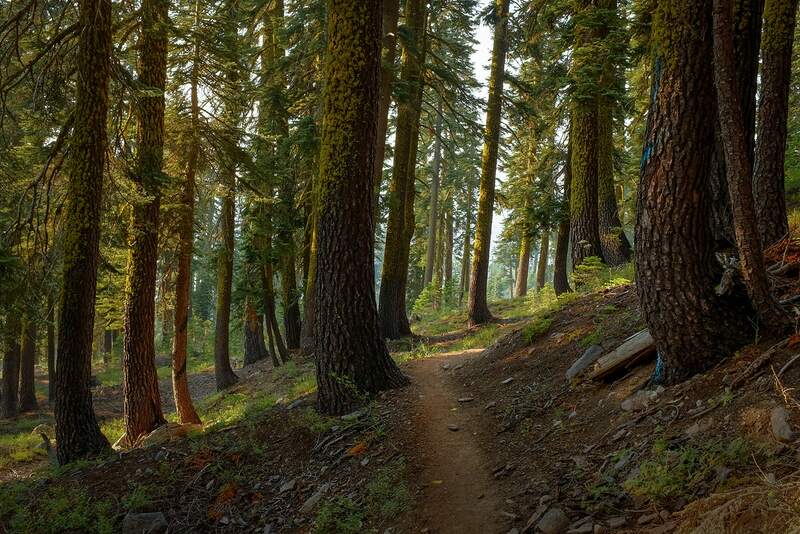 Hiking the PCT is an experience so completely foreign from anything most individuals have experienced before. It allows you to meet and connect with people from all over the world, and from all walks of life, without predisposition. Normal societal identifiers, such as your job, the neighbourhood you live in, and what you can afford, are largely irrelevant on the trail. If there was anything that I underestimated when Barney described the trail as being life-changing, it was the impact that the people I met would have on me. As the miles drew on, acquaintances solidified into friendships that would endure throughout the trail and beyond.